A fissile material cut-off treaty (FMCT) is a proposed international agreement that would prohibit the production of the two main components of nuclear weapons: highly-enriched uranium (HEU) and plutonium. Discussions on this subject have taken place at the UN Conference on Disarmament (CD), a body of 65 member nations established as the sole multilateral negotiating forum on disarmament. The CD operates by consensus and is often stagnant, impeding progress on an FMCT. Those nations that joined the nuclear Nonproliferation Treaty (NPT) as non-weapon states are already prohibited from producing or acquiring fissile material for weapons. An FMCT would provide new restrictions for the five recognized nuclear weapon states (NWS—United States, Russia, United Kingdom, France, and China), and for the four nations that are not NPT members (Israel, India, Pakistan, and North Korea). Efforts to curb the spread of nuclear material and technology began only a short time after the world was introduced to the destructive potential of atomic weaponry. In 1946 the Acheson-Lilienthal Report, authored in part by Manhattan Project physicist J. Robert Oppenheimer, advocated for an Atomic Development Agency to regulate fissile material and ensure that state rivalries over the technology did not occur. Ultimately, neither Dean Acheson or David Lilienthal presented the U.S. plan to the United Nations Atomic Energy Commission (UNAEC). Instead, Bernard Baruch presented the Baruch Plan, which also would have established an Atomic Development Authority that answered to the UN Security-Council. The plan called for the United States to disassemble its nuclear arsenal, but only after an agreement had been reached assuring the United States that the Soviets would not be able to acquire a bomb. The plan failed to achieve consensus within the UNAEC. In March 1995, the CD took up a mandate presented by Canadian Ambassador Gerald Shannon. The Shannon Mandate established an ad hoc committee that was directed to negotiate an FMCT by the end of the 1995 session. A lack of consensus over verification provisions, as well as desires to hold parallel negotiations on outer space arms control issues, prevented negotiations from getting underway. China and Russia articulated a desire to hold parallel negotiations on Preventing an Arms Race in Outer Space (PAROS), a point which has further stalled efforts to begin FMCT negotiations. The George W. Bush administration submitted an FMCT proposal at the CD in 2006 which proposed a fifteen year ban on the production of HEU and plutonium, two key components of nuclear weapons. The proposal did not include any verification measures, and would have applied to only the five recognized NWS. The Obama administration’s support of an FMCT was displayed prominently in a speech President Obama delivered in Prague in 2009, including dropping the previous administration’s opposition to FMCT verification. Obama stated that, “the United States will seek a new treaty that verifiably ends the production of fissile materials intended for use in state nuclear weapons.” A group of governmental experts issued a report in 2015 making recommendations on taking forward an FMCT. In March 2016, the United States formulated a proposal at the Conference on Disarmament to establish a working group to negotiate an FMCT. 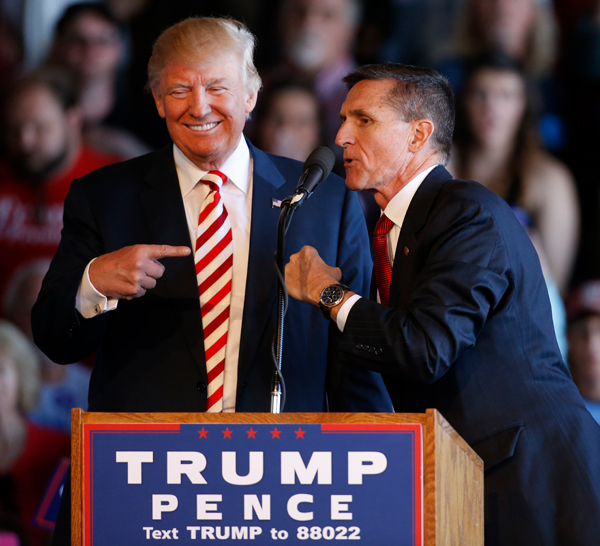 The Trump administration stated that it would support the negotiation of an FMCT at the 2018 NPT Preparatory Committee. 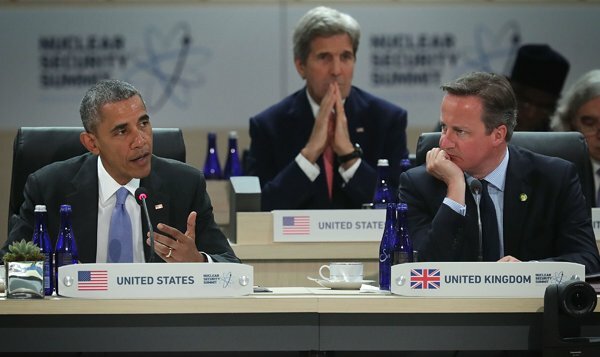 The United States, the United Kingdom, France, and Russia have all declared that they have stopped producing fissile material for nuclear weapons. It is widely believed that China has also stopped producing fissile material for nuclear weapons, ceasing production of highly enriched uranium (HEU) in 1987, and plutonium in 1991. According to the International Panel on Fissile Material’s (IPFM) 2015 Global Fissile Material Report, the global stockpile of HEU in 2015 consisted of roughly 1,340 ± 125 tons, which would be enough material to create 76,000 first simple, first generation nuclear weapons. Roughly 99% of the HEU stock is owned by nuclear weapon states, and Russia and the United States have the largest stocks. India, Pakistan, and North Korea are believed to have ongoing production operations for HEU. IPFM estimates the global stockpile of separated plutonium at 520 ± 10 tons, of which, less than half was produced for use in weapons. About 88% of plutonium is held by states with nuclear weapons that are NPT signatories, and most of the remaining 12% is held by Japan, which has over 47 tons of plutonium. Though the five NWS no longer produce weapons-grade plutonium, production continues in India, Israel, North Korea and Pakistan. *While information on China’s fissile material stocks have remained a secret, China is widely believed to have stopped production of fissile material. In order for negotiations to begin on an FMCT, Pakistan will have to remove its opposition vote, and a consensus to move forward with negotiations must be reached. Pakistan has been primarily concerned that an FMCT would lock them into a disadvantageous position relative to India’s superior nuclear stockpile. Consequently, Islamabad would like an FMCT to include current fissile material stockpiles, instead of just capping future production, a position shared by several other countries. The primary focus of this HEU cleanout strategy has been on replacing HEU civilian research reactor fuel and uranium “targets” used in the production of medical radioisotopes with non-weapons-usable low-enriched uranium (LEU) fuel and targets. Eliminating the use of HEU in naval fuel was not on the agenda. Yet, naval reactors account for more than half of global HEU use and most of the global stockpile of HEU for nonweapons use.1 As the phase-out of other uses continues, naval reactors will become increasingly dominant among nonweapon users of HEU unless actions are taken to convert them as well. Given the focus after the September 11 attacks on reducing the possibility of nuclear terrorism, prioritizing the elimination of civilian uses of HEU was understandable. The security at most civilian sites is typically much lower than at sites where naval fuel is fabricated and stored, but the continued use of HEU for nonweapons purposes has implications for nuclear weapons proliferation. The U.S. Navy accounts for about 60 percent of global naval HEU use today, or about 2.5 tons, enough for 100 nuclear weapons, each year. A July 2016 report to Congress by the Office of Naval Reactors within the National Nuclear Security Administration (NNSA), a semiautonomous unit of the Department of Energy, raised the possibility of converting at least U.S. aircraft carriers to using LEU fuel. The report sketched out a $1 billion, 15-year plan to do irradiation and production tests on a new LEU fuel design.7 The office believes that this fuel could replace the weapons-grade HEU fuel currently used by U.S. aircraft carriers. According to the report, a minimum of an additional 10 years would be required to build a land-based prototype reactor and a fuel production line. The whole program therefore would take at least 25 years before the first LEU core could be loaded into an aircraft carrier. The report argues that the new LEU fuel is not suitable for submarines because it could not be used to build lifetime submarine cores without a costly increase in submarine size. This conclusion is not obvious. Also, the priority that the U.S. Navy has placed on achieving lifetime cores can be questioned. Among the six countries that deploy nuclear submarines, only the United States and the UK, which is dependent on the United States for naval reactor technology, have made it a priority to develop lifetime cores. 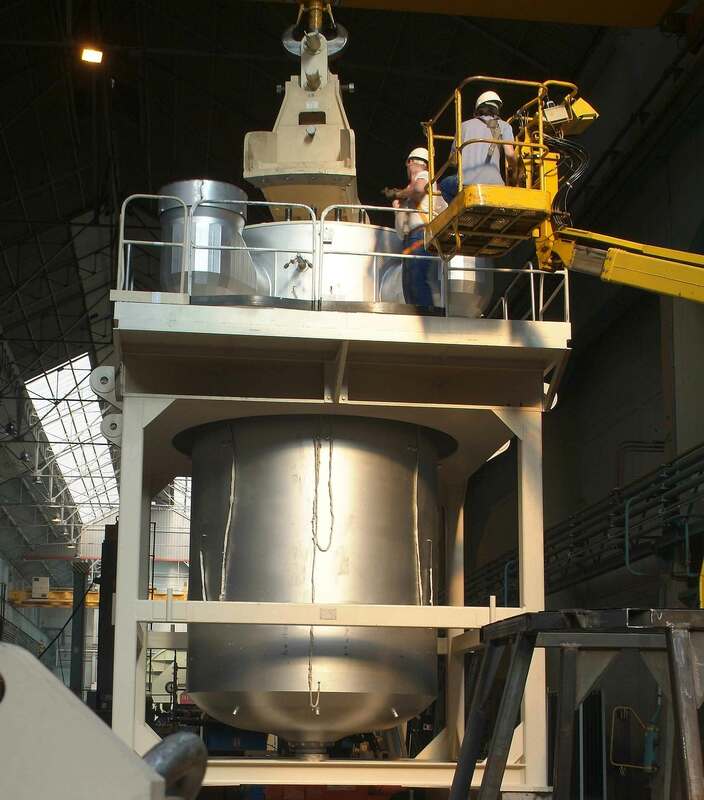 LEU fuel is already used in Chinese and French naval reactors. Little is known about China’s technology, but France has been relatively open about the conversion of its navy from HEU fuel to LEU fuel starting more than 30 years ago. The depth of U.S. nuclear naval expertise accumulated over the past seven decades is unsurpassed, including more than 30 different reactor designs, an excellent safety record, and a steady increase in the uranium density of naval fuel. Given this expertise, it should be possible for the Office of Naval Reactors to begin to produce LEU cores for all existing U.S. aircraft carriers and for newly designed U.S. submarines within about 20 years. In any case, Congress, the White House, and the leaderships of the departments of Defense and Energy need more input before taking the decision on whether to support the proposed program or a more ambitious program that would be aimed at ending completely the production of naval HEU fuel in about two decades. During the summer of 2016, JASON, an independent group of technical defense consultants, conducted a classified review of the Office of Naval Reactors proposal. Hopefully, an unclassified summary of the JASON report will be made available. In the meantime, this article is an attempt to provide a critical, unclassified analysis based on publicly available information. Thus far, discussion of shifting U.S. naval reactors to use LEU fuel has been driven by the interest of a few members of Congress. The first expression of interest appeared in the National Defense Authorization Act for fiscal year 1995 as a request for a report on the use of LEU fuel instead of HEU fuel for naval nuclear reactors. 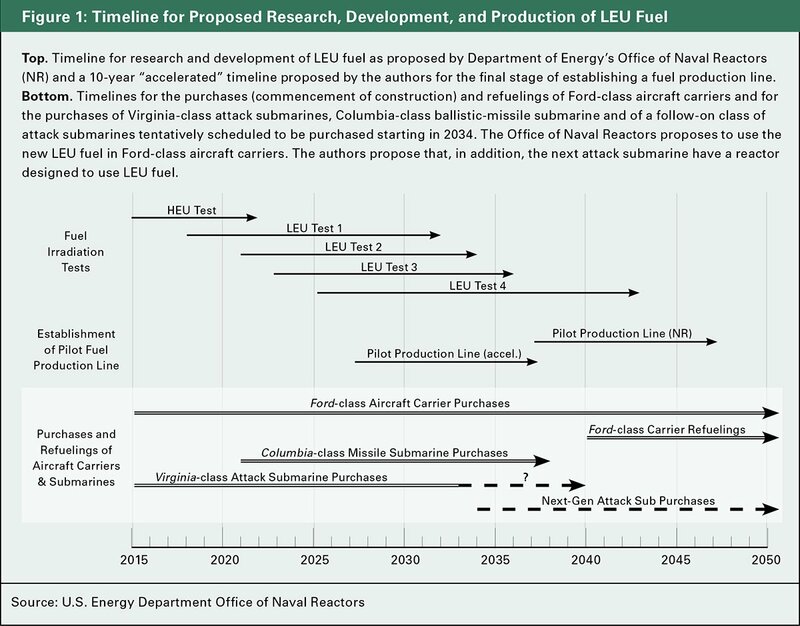 The office therefore was proposing a deal: It would examine the option of developing LEU fuel to convert ships using HEU fuel in exchange for funding that would sustain its fuel development team and infrastructure until it is time to develop the next new naval propulsion reactor. Congress responded in the fiscal year 2016 National Defense Authorization and energy and water appropriations acts with $5 million and a request for a research and development plan. In its 2016 report, the NNSA responded with a plan to develop and test the advanced LEU fuel and build a laboratory-scale production line. The LEU fuel would be enriched to 19.75 percent uranium-235 (U-235), just below the 20 percent threshold where enriched uranium is defined to be HEU and weapons usable.10 The HEU currently used in U.S. naval fuel is enriched to 93 percent and was originally produced for use in Cold War nuclear warheads. The U.S. Navy currently has 10 nuclear-powered Nimitz-class aircraft carriers in operation. 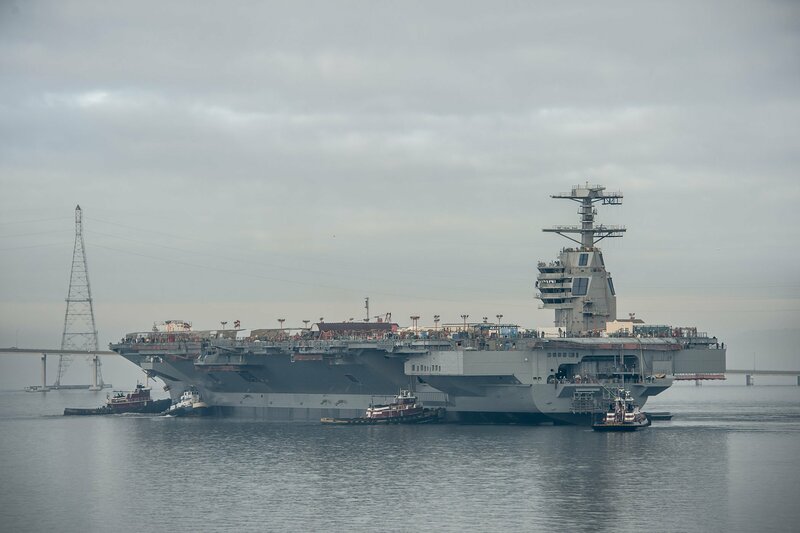 The USS Gerald R. Ford, the lead ship of a new class of aircraft carriers, is in precommissioning status. The nuclear submarine fleet currently numbers 75. Five new Virginia-class attack submarines are under construction, and a new class of ballistic-missile submarines, the Columbia class, is being designed for production beginning in fiscal year 2021.12 Each of the aircraft carriers has two propulsion reactors that are much more powerful than the single reactors that power the submarines. The aircraft carriers are refueled once in the middle of their 50-year design lives. The latest generation of U.S. attack submarines, the Virginia-class, however, is equipped with cores designed to propel them for their entire 33-year design lives. The cores of the Columbia-class ballistic missile submarines also are being designed to propel them for their full (42-year) design lives. The basis for the Office of Naval Reactors’ conclusion that U.S. nuclear submarines could not be converted to LEU use was that LEU cores of the same size as the current HEU cores would not provide enough energy to last a submarine’s lifetime. The pursuit of lifetime cores is a U.S. design choice justified by the fact that, in the past, the lengthy process of refueling has reduced U.S. submarine availability. The UK, whose submarines are based on U.S. technology and fueled by U.S. HEU, has made the same choice. The first U.S. nuclear submarines had reactor compartment hatches to facilitate refueling operations,13 but the United States and UK abandoned refueling hatches in later designs. It therefore became necessary to cut open the submarine hulls to access the reactors and then carefully weld the hulls shut again after refueling. This was a difficult process, requiring extreme quality control to maintain the strength of the hull structure. According to the 1995 report of the Office of Naval Reactors, refueling added eight to 10 extra months in dry dock to a long engineering overhaul. France and Russia and possibly China refuel their submarines regularly. France, which has been operating LEU-fueled naval reactors for more than 30 years, refuels every seven to 10 years during its submarines’ general engineering overhauls. In its new Suffren-class submarines, average fuel enrichment has been reduced to less than 6 percent by increasing the volume of the core without increasing the mass or volume of the reactor.17 Using LEU fuel of commercial-level enrichment avoids a cost that the United States will face when its current supply of excess Cold War HEU runs out and it has to build a special enrichment plant to produce either HEU or 19.75 percent-enriched LEU for its naval reactors. The “at least one refueling” statement, i.e., at least two cores in the lifetime of the submarine, gives a measure of the increase in the uranium density of the proposed new LEU fuel because the report states that if LEU were substituted for HEU in the existing lifetime cores of Virginia-class submarines, they would have to be refueled “as many as three times,” or up to four cores in the lifetime of a submarine. The 1995 report made the same statement and added that a lifetime LEU core would have three times the volume of an HEU core at the same level of technology. On the basis of these statements, the new higher-density fuel presumably would make possible an LEU lifetime core with a volume only twice that of the current HEU lifetime cores. The Office of Naval Reactors judges that the reactor pressure vessels in Ford-class aircraft carriers could accommodate LEU cores with the new higher-density fuel large enough to keep their refueling frequency to one refueling at midlife but that current submarine reactors could not accommodate lifetime LEU cores. More controversially, however, the report argues that if U.S. submarines were designed with reactor pressure vessels large enough to accommodate lifetime LEU cores, the submarine hulls would have to be made larger, which would increase their costs significantly. The Office of Naval Reactors made a similar claim in its 1995 report, in which it asserted that an LEU lifetime core with triple the volume of the HEU core of a Virginia-class submarine would require an increase in the hull diameter and its displacement by about 3 feet and 12 percent, or 1,000 tons, respectively. These assertions are questionable because the reactor cores are very small in comparison to the submarines that they power. The hull diameter of the smallest U.S. nuclear submarine currently in production, the Virginia-class, is about 10 meters, while the cavity in the M-140 cask that the Navy uses to ship spent submarine fuel is only 1.2 meters high, which makes that an upper bound on the height of the core.23 Increasing each dimension by a factor of 1.26 would double the volume. If the height of the existing cores were 1.2 meters, doubling their volumes in such a way would increase their heights by 0.3 meters. It is possible that the reactor vessel might have to be increased in diameter, but it is difficult to believe that its internals and control rod system could not be reconfigured to allow a small increase in core height without forcing an increase in the submarine’s hull diameter. Alternatively, the core volume could be doubled without increasing its height by simply enlarging its diameter by a factor of 1.41. The challenge of accommodating larger cores within the larger hulls of U.S. ballistic missile submarines would be less. An important revelation in the 2016 Office of Naval Reactors report is that irradiation tests of the new fuel design with HEU had already begun in fiscal year 2015.24 Indeed, it states that the decision on whether to do irradiation tests with LEU beginning in fiscal year 2022 would be based primarily on the evaluation of the HEU irradiation tests. Yet, because an LEU lifetime core is approximately two times larger, its fuel would only have to demonstrate that it performed well up to about half the irradiation level of the HEU core, measured in terms of fissions per cubic centimeter. Therefore, the new fuel design possibly could be useable for LEU fuel but not HEU fuel. On the other hand, if the tests were successful up to the irradiation level that would be required for an HEU core, the United States would have a choice of an LEU core or a more compact HEU core. In that case, the decision on whether to use the new fuel design with LEU fuel for nonproliferation reasons or the higher-performance HEU cores would depend on the priorities of future U.S. governments. The enacted fiscal year 2016 authorization and appropriation bills make clear, however, that congressional support for this program is based on the belief that the new fuel design should be used with LEU fuel. The Office of Naval Reactors report estimates that production and testing of advanced cores would require at least an additional 10 years beyond the 15-year R&D program and cost several billion dollars. The projected costs include $600 million for a new fuel production line and “[s]everal billion dollars” for a new land-based reactor for testing a prototype core. On average, this program would cost several times as much annually as the R&D program. The office also estimates that LEU cores will cost 25 to 35 percent more than HEU cores. Congress might balk at these costs. A careful examination of the estimates to determine whether they are justified will be important. Given that the prototype will be 63 years old in 2041, the Navy may need a new training and prototype reactor in any case. It therefore may not be fair to charge its entire cost to the LEU fuel development program. Furthermore, most naval cores are no longer tested in prototype. The director of the Office of Naval Reactors testified in 2013 with regard to the use of a new higher-density HEU fuel in the cores for the new ballistic missile submarines, saying that “[w]e did not have to build prototypes and do direct testing, but we could do that modeling in the high-performing computer.”27 The primary use of the S8G prototype today is for training naval reactor operators. New fuel production line. The Office of Naval Reactors report asserts that if LEU fuel is used in U.S. aircraft carriers and HEU fuel is used in U.S. submarines, two production lines will be required. Yet, there are straightforward, nondestructive techniques to verify that LEU has not mistakenly been substituted for HEU in fuel or vice versa. Unless the new LEU fuel is very different in terms of the fabrication techniques involved, it is difficult to understand what would justify the cost of an entirely new production line. Currently, diverse HEU fuels are apparently manufactured on the same line. The fuel assemblies for the aircraft reactors are much longer than those for the submarine reactors, and the cladding of the fuel for the new Columbia-class ballistic missile submarines is of a different material than that for the Virginia-class cores.28 Their production is most likely kept separate by processing the different fuels in separate batches during the different stages of production. The fuel designs are secret, so it is not possible to comment on the relative complexity of the current HEU fuels and the proposed LEU fuel. With regard to the other arguments, however, there will be an extra cost in the near term for blending HEU down to 19.75 percent LEU; but in the long term, when the supplies of excess Cold War HEU are exhausted, it would be somewhat less costly to produce LEU for several reasons, including the lower security costs at the enrichment and fuel fabrication plants and for transport and storage of the LEU. In the 2016 Office of Naval Reactors report, it is estimated that security costs at the Navy’s two nuclear fuel-fabrication facilities would be reduced by about $30 million per year if they no longer handled HEU. The issue of supporting two production lines has already been discussed. According to the timeline in the Office of Naval Reactors 2016 report (see figure 1), the office would determine in fiscal year 2032, after the evaluation of the first irradiation tests of LEU fuel specimens, whether the LEU naval fuel is technically viable. Yet, the ongoing irradiation tests with HEU of the new fuel design that are to be completed at the end of fiscal year 2020 are of the same fuel design and therefore should provide the same information. Indeed, it should be possible to examine some of the HEU fuel samples after the halfway point of the irradiation tests in fiscal year 2018, when they will have reached irradiation levels beyond those required to qualify LEU fuel. If the conclusions from the HEU fuel irradiation and fabrication tests are positive, the program to test prototype LEU fuel and develop production capacity could be launched in the early 2020s, a decade earlier than in the proposed plan, and deliver LEU cores for aircraft carriers starting in the 2030s. If decisions are made with Defense Department and congressional support to design the next-generation attack submarines, notated as SSN(X), to accommodate large lifetime LEU cores or with hatches that would allow quick midlife refuelings, they too could be equipped with LEU cores. If the SSN(X) is deferred in favor of continuing with Virginia-class attack submarines, a new larger reactor vessel might be included in the major redesigns that often occur between “blocks” of production of a submarine class. The Block V Virginia-class submarines that are to be purchased starting in fiscal year 2019, for example, will have a 70-foot “payload module” added immediately in front of the nuclear reactor compartment, with four large tubes that could store and launch up to seven Tomahawk cruise missiles each at a cost of about $300 million per submarine.30 It would be too late to install LEU cores in the Columbia-class ballistic missile submarines that are already at an advanced design stage, but if and when they are replaced, their replacements too could be designed for LEU cores. In this scenario, therefore, no HEU cores would be installed after approximately 2040. Nuclear-powered vessels are very costly. Virginia-class attack submarines cost about $2.7 billion each, Columbia-class ballistic missile submarines are projected to cost twice as much, and Ford-class aircraft carriers twice as much again.31 This results in the club of countries with nuclear-powered ships being very small. For nuclear-powered aircraft carriers, it is almost a club of one, with the United States having 11 aircraft carriers and France one. Only six countries have nuclear-powered submarines: the United States, Russia, France, the UK, China, and India. Of these, four use HEU fuel, and two use LEU fuel. Among the HEU fuel users, the UK is tied to the United States by technology and HEU supply. Therefore, if the United States switched to LEU fuel, the UK presumably would as well. The reactors that dominate Russia’s current submarine fleet have zoned cores with enrichments much lower than those used by the United States and UK, ranging from 21 percent U-235 in the core interiors to 45 percent U-235 at their peripheries, and are designed to be refueled every 10 years or so with normal usage.32 Technically, therefore, it would be much easier for Russia to switch its submarines to LEU fuel than for the United States. In fact, the reactors on Russia’s next-generation, civilian nuclear-powered icebreakers are to be fueled with LEU.33 India’s submarines appear to be based on Russian designs. If the United States and UK switched to LEU fuel, it is possible that Russia and India would do so as well, thereby ending all global use of HEU for naval fuel and thereby potentially for all non-nuclear weapons uses. The Office of Naval Reactors has responded to congressional interest with a serious plan to develop a new higher-density fuel that could facilitate conversion of naval reactors to LEU fuel. It sees the LEU fuel of potential interest for aircraft carriers but not for submarines because lifetime LEU cores would not fit into current reactors and reactors designed for larger lifetime cores would not fit into submarines of the current size. The first point is more credible than the second. Furthermore, if the Navy were willing to design a refueling hatch into its submarines, the time penalty for refueling would not be significant. The office believes that testing a core would require a new land-based prototype reactor costing several billion dollars. The government will have to decide in any case whether to build a new training and prototype reactor to replace the aging S8G reactor in West Milton, New York. The office also estimates that LEU cores will cost 25 to 35 percent more than HEU cores. The effect on cost of the “more complex” fabrication of the LEU fuel is difficult to assess, but the other arguments for higher cost are not persuasive. Finally, the office estimates that if the fuel development program is successful, it will be possible to begin building new LEU cores starting in fiscal year 2047. That schedule probably could be shortened by a decade. 1. Frank von Hippel, “Banning the Production of Highly Enriched Uranium,” International Panel on Fissile Material Research Report, No. 15 (March 2016), p. 10 (table 2). 2. Marie-France Desjardins and Tariq Rauf, Opening Pandora’s Box? Nuclear-Powered Submarines and the Spread of Nuclear Weapons (Ottawa: Canadian Centre for Arms Control and Disarmament, 1988). 3. Greg Thielmann and Wyatt Hoffman, “Submarine Nuclear Reactors: A Worsening Proliferation Challenge,” ACA Threat Assessment Brief, July 26, 2012, https://www.armscontrol.org/files/TAB_Submarine_Nuclear_Reactors.pdf. 4. Sébastien Philippe, “Safeguarding the Military Naval Nuclear Fuel Cycle,” Journal of Nuclear Materials Management, Vol. 42, No. 3 (Spring 2014). 5. 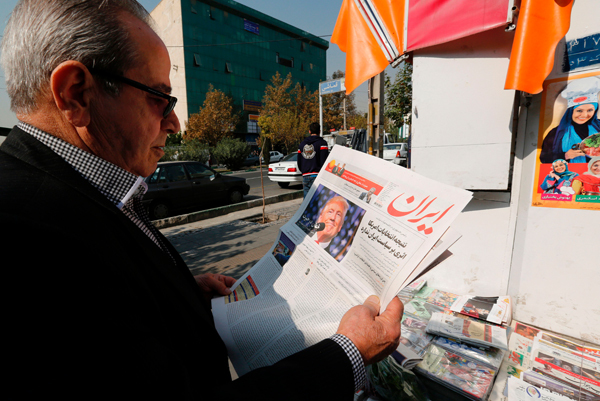 “Iran May Need Highly Enriched Uranium in Future, Official Says,” Reuters, April 16, 2013. 6. Chunyan Ma and Frank von Hippel, “Ending the Production of Highly Enriched Uranium for Naval Reactors,” Nonproliferation Review, Vol. 8, No. 1 (2001): 86-101. 7. National Nuclear Security Administration (NNSA), U.S. Department of Energy, “Conceptual Research and Development Plan for Low-Enriched Uranium Naval Fuel: Report to Congress,” July 2016, http://fissilematerials.org/library/doe16.pdf. 8. Director of Naval Nuclear Propulsion, U.S. Department of Defense, “Report on Use of Low Enriched Uranium in Naval Nuclear Propulsion,” 1995, p. 1, http://fissilematerials.org/library/onnp95.pdf. 9. Office of Naval Reactors, U.S. Department of Energy, “Report on Low Enriched Uranium for Naval Reactor Cores: Report to Congress,” January 2014, p. 5, http://fissilematerials.org/library/doe14.pdf. 10. Alexander Glaser, “On the Proliferation Potential of Uranium Fuel for Research Reactors at Various Enrichment Levels,” Science and Global Security, Vol. 14, No. 1 (2006): 1-24. 11. NNSA, “Conceptual Research and Development Plan for Low-Enriched Uranium Naval Fuel,” table V.B.1. The Office of Naval Reactors is funded through both the Department of Energy and the Navy. The Energy Department appropriation for this office for fiscal year 2016 was $1.4 billion, and the Navy appropriation was $0.5 billion. Office of Chief Financial Officer, U.S. Department of Energy, “FY 2017 Congressional Budget Request: National Nuclear Security Administration,” DOE/CF-0119, Vol. 1, February 2016, p. 607; U.S. Department of Defense, “Fiscal Year (FY) 2017 President’s Budget Submission; Research, Development, Test & Evaluation, Navy: Budget Activity 4,” Vol. 2, February 2016, p. 465. 12. Office of the Chief of Naval Operations, U.S. Department of the Navy, “Report to Congress on the Annual Long-Range Plan for Construction of Naval Vessels for Fiscal Year 2017,” July 2016, p. 5, table 1, https://news.usni.org/2016/07/12/20627. 13. See, for example, the account of the defueling of the second U.S. nuclear submarine, the USS Seawolf. C.V. Moore, “Defueling of the S2G Reactor,” Knolls Atomic Power Laboratory, May 1959, p. 2. 14. The defueling and refueling of the Améthyste (a Rubis-class submarine) took five days during its 2005 overhaul. “Maintenance des sous-marins nucléaires: Les performances au rendez-vous,” Mer et Marine, October 25, 2005, http://www.meretmarine.com/fr/content/maintenance-des-sous-marins-nucleaires-les-performances-au-rendez-vous. 15. For a photograph of one of these hatches open, see https://upload.wikimedia.org/wikipedia/commons/b/be/USS_Michigan_(SSBN-727).jpg. It appears to have a diameter of at least two meters. 16. Lyle Goldstein, “How to Sink a U.S. Navy Carrier: China Turns to France for Ideas,” National Interest, December 13, 2015. 17. Charles Fribourg, “La propulsion nucléaire navale,” Revue Générale Nucléaire, No. 2 (1999), p. 43. Fribourg is a former head of Technicatome, the builder of France’s naval and research reactors. 18. Charles Fribourg, “Navires à propulsion nucléaire,” 2001, http://www.techniquesingenieur.fr/base-documentaire/energies-th4/typologie-des-reacteurs-nucleaires-42456210/navires-a-propulsion-nucleaire-bn3140/. 20. “Secret Weld: How Shoddy Parts Disabled a $2.7 Billion Submarine,” Navy Times, March 27, 2016, https://www.navytimes.com/story/military/2016/03/27/minnesota-two-years-in-the-yards-virginia-class-attack-sub/81600432/. 21. “Nuclear Submarine to Get New Core After Test Reactor Problem,” BBC News, March 6, 2014, http://www.bbc.com/news/uk-politics-26463923. The UK ballistic missile submarines were refueled with the new lifetime fuel that is being used in new UK submarines. Christopher Palmer, “Management of Key Technologies in the UK Naval Nuclear Propulsion Programme,” 2011, http://fissilematerials.org/library/2011/09/management_of_key_technol.html. 22. Frank Bowman, Statement to the House Appropriations Energy and Water Development Subcommittee, April 10, 2003. 23. U.S. Nuclear Regulatory Commission, “Certificate of Compliance for Radioactive Material Packages, Number 9793,” rev. 15, April 11, 2012, http://www.nrc.gov/docs/ML1210/ML12102A188.pdf. 24. NNSA, “Conceptual Research and Development Plan for Low-Enriched Uranium Naval Fuel,” fig. V.B.1. 25. Historic and proposed expenditures on the S8G refurbishment and refueling from Department of Energy Congressional Budget Requests, NNSA Volume, for fiscal years 2010 through 2017, http://energy.gov/cfo/reports/budget-justification-supporting-documents. 26. Admiral John Richardson, Statement before the House Energy and Water Development Appropriations Subcommittee, April 3, 2014, p. 82. 27. Admiral John Richardson, Testimony before the House Energy and Water Development Subcommittee, April 3, 2014, p. 85. 28. Admiral John Richardson, Response to the House Energy and Water Development Appropriations Subcommittee, February 14, 2013, p. 176. 29. NNSA, “Conceptual Research and Development Plan for Low-Enriched Uranium Naval Fuel,” p. 10. 30. Karl Hassinger and John Pavlos, “The Virginia Payload Module: A Revolutionary Concept for Attack Submarines,” Undersea Warfare, No. 47 (Winter 2012), http://www.public.navy.mil/subfor/underseawarfaremagazine/issues/archives/issue_47/virginia.html; Ronald O’Rourke, “Navy Virginia (SSN-774) Class Attack Submarine Procurement: Background and Issues for Congress,” RL32418, May 27, 2016, pp. 7-8. 31. O’Rourke, “Navy Virginia (SSN-774) Class Attack Submarine Procurement”; Ronald O’Rourke, “Navy Ohio Replacement (SSBN[X]) Ballistic Missile Submarine Program: Background and Issues for Congress,” R41129, October 3, 2016; Ronald O’Rourke, “Navy Ford (CVN-78) Class Aircraft Carrier Program: Background and Issues for Congress,” RS20643, May 27, 2016. 32. Eugene Miasnikov, “Russian/Soviet Naval Reactor Programs,” in The Use of Highly-Enriched Uranium as Fuel in Russia, International Panel on Fissile Materials (forthcoming) (citing V.M. Kuznetsov, Power Plants of the Nuclear Submarine Fleet, pp. 31-32). 33. G.V. Kulakov et al., “Particulars of the Behavior Under Irradiation of Dispersion Fuel Elements With the Uranium Dioxide + Aluminum Alloy Fuel Composition,” Atomic Energy, Vol. 117, No. 4 (2014). Sébastien Philippe is a Ph.D. candidate in applied physics in the Department of Mechanical and Aerospace Engineering at Princeton University and a member of the Nuclear Futures Laboratory and Princeton University’s Program on Science and Global Security. Frank von Hippel, a former assistant director for national security in the White House Office of Science and Technology Policy, is a senior research physicist and professor of public and international affairs emeritus at the Program on Science and Global Security. Russia announced last month that it is suspending cooperation under a 16-year-old agreement with the United States to dispose of 68 metric tons of excess weapons-grade plutonium as relations between the two countries continue to deteriorate. In an Oct. 3 presidential decree, Russian President Vladimir Putin suspended the Plutonium Management and Disposition Agreement, citing “unfriendly actions” by the United States and the “inability” of Washington to fulfill its obligations under the agreement. Putin also submitted a draft law to the Russian parliament outlining conditions that would have to be met for Russia to resume cooperation. These include lifting all U.S. sanctions against Russia enacted in response to Moscow’s actions in Ukraine, compensating Russia for the damage caused by the sanctions, and reducing the U.S. military presence on the territory of NATO member states that joined the alliance after 2000, which covers eight neighboring countries that were part of the Soviet Union or its Warsaw Pact military alliance. 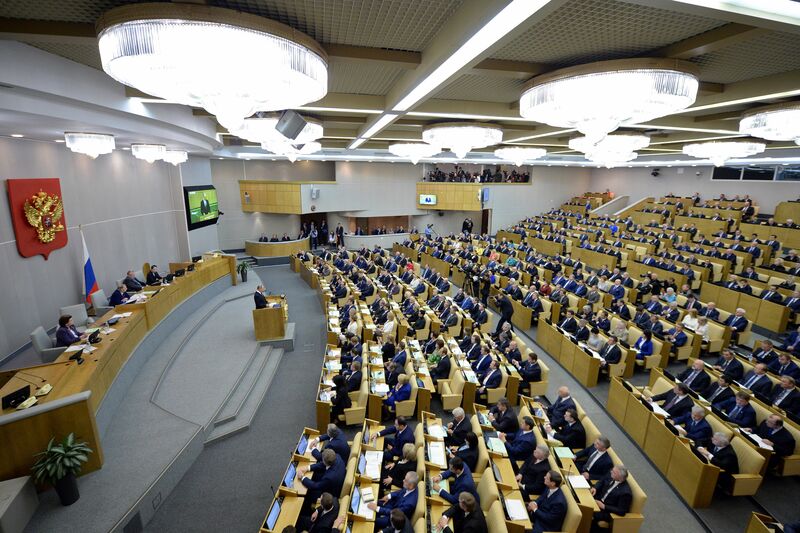 The parliament approved the law on Oct. 19. White House Press Secretary Josh Earnest told reporters on Oct. 3 that Russia’s decision to unilaterally withdraw from the agreement was “disappointing.” The United States “has been steadfast since 2011 in implementing our side of the bargain, and we would like to see the Russians continue to do the same,” he said. Signed in 2000 and amended in 2010, the plutonium agreement commits the United States and Russia each to dispose of 34 metric tons of surplus weapons-grade plutonium, or enough material in total for approximately 17,000 nuclear weapons. Under the earlier version of the deal, Russia would have turned the plutonium into mixed-oxide (MOX) fuel—so called because it is a mix of plutonium and uranium oxides—for use in Russian light-water reactors to produce electricity. That effort stalled over programmatic, financial, and legal differences. In 2010 the United States and Russia signed a protocol to the agreement that allowed Russia to dispose of the plutonium using fast-neutron reactors as part of its plan to expand the use of the material in its civilian nuclear power industry. 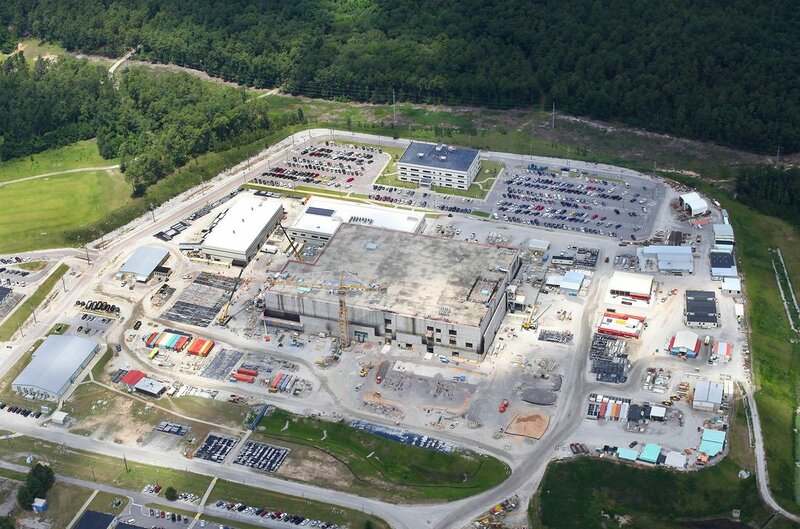 Meanwhile, the United States pledged to continue with the MOX fuel approach at a facility under construction at the Energy Department’s Savannah River Site near Aiken, South Carolina. Under the amended agreement, both countries would begin disposition in 2018. The protocol also called for international monitoring and verification of the disposition process by the International Atomic Energy Agency. It remains to be seen whether Moscow will allow international monitoring of the disposition process as called for under the agreement. Despite the Energy Department’s efforts to terminate the MOX fuel project, Congress, led by the delegation from South Carolina, has refused to abandon it. Russia argues that the new U.S. plan does not meet the terms of the deal because it does not change the composition of the plutonium from weapons grade to reactor grade and the diluted plutonium could still be retrieved and used again for weapons. The Energy Department disputes this claim, arguing that the technical effort and financial cost required to retrieve the diluted and buried plutonium would be prohibitive. The original agreement allows for changes in the method of disposition, subject to agreement by both parties. The United States and Russia had not begun formal talks on the alternative U.S. approach because Moscow was waiting to see whether Congress would require that the MOX fuel project be continued. Russia last month also suspended a 2013 research agreement on nuclear energy and a 2010 deal on the conversion of six Russian research reactors. The 2013 agreement provided the legal framework necessary to expand cooperation between U.S. and Russian nuclear research laboratories, institutes, and facilities in a broad range of areas, including nuclear technology, nonproliferation, fundamental and applied science, energy, and the environment. The 2010 deal covered feasibility studies for the conversion of six Russian research reactors that use highly enriched uranium, which could be diverted to weapons use, to low-enriched uranium. In an Oct. 5 statement, the Russian Foreign Ministry said Russia was suspending both agreements in retaliation for U.S. sanctions imposed regarding the situation in Ukraine. “We can no longer trust Washington in such sensitive areas as the modernization and security of Russian nuclear facilities,” the statement added. The demise of the three nuclear cooperation agreements comes amid rising tensions between the two countries over Syria, U.S. allegations of Russian cyber espionage, and Western concerns about more aggressive Russian nuclear rhetoric and behavior. Putin announced the suspension of the plutonium accord hours before the United States said it was suspending talks with Russia on ending the Syrian civil war. In addition, U.S. intelligence agencies assessed last month that Russian government authorities have authorized cyberhacking of U.S. entities such as the Democratic National Committee and linked the WikiLeaks release of documents to Russian efforts to undermine the credibility of the U.S. electoral process.